This Muslim Girl Bakes: Cookbook of the Month August 2017: Nadiya's British Food Adventure. 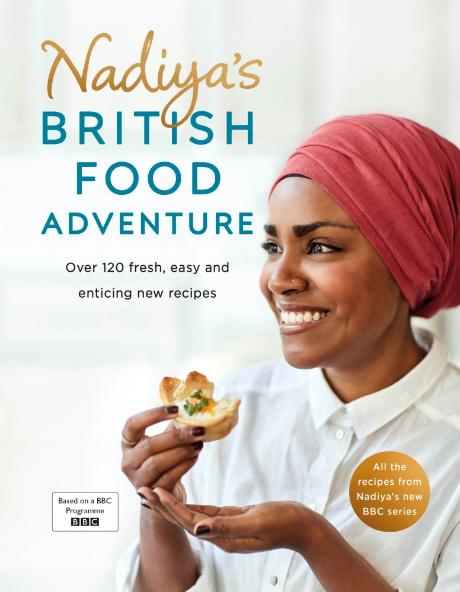 Cookbook of the Month August 2017: Nadiya's British Food Adventure. Get ready for all the tasty food! 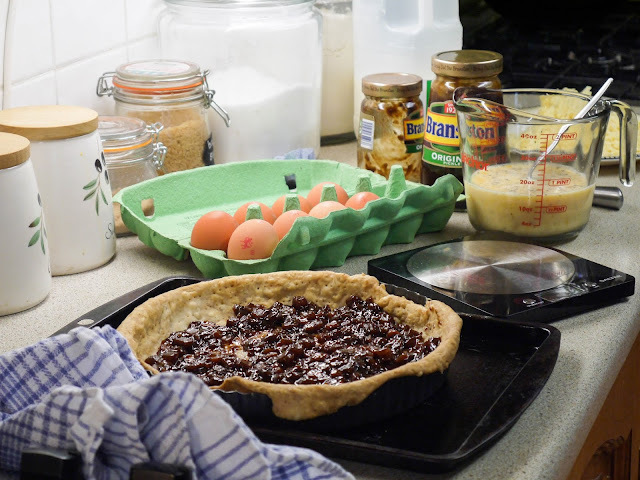 I've had so much fun cooking and baking my way through Nadiya Hussain's Nadiya's British Food Adventure. 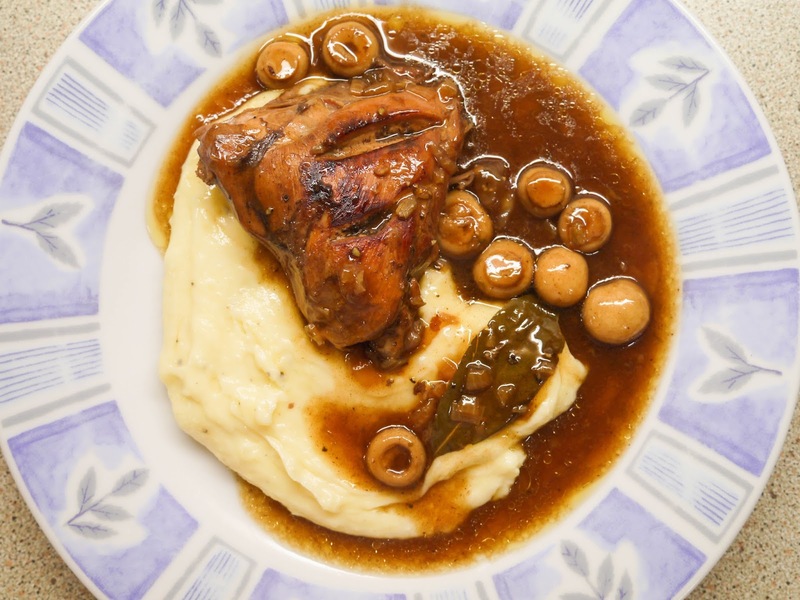 There have been so many new favourites discovered including a herby chicken salad, halal coq au vin with creamy mash and an eggs benedict which we will start with. Enjoy! 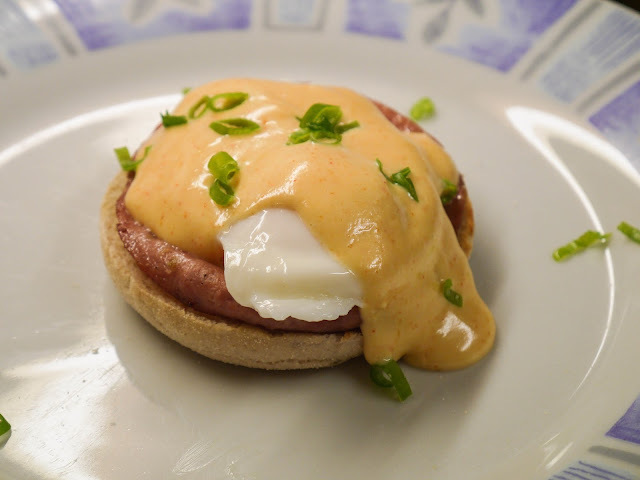 Breakfast and Brunch: Cayenne Eggs Benedict - In the picture: toasted English muffin + crispy salami + poached egg + cayenne hollandaise sauce + spring onion. My first time ever making any kind of eggs Benedict! Can you believe it?! 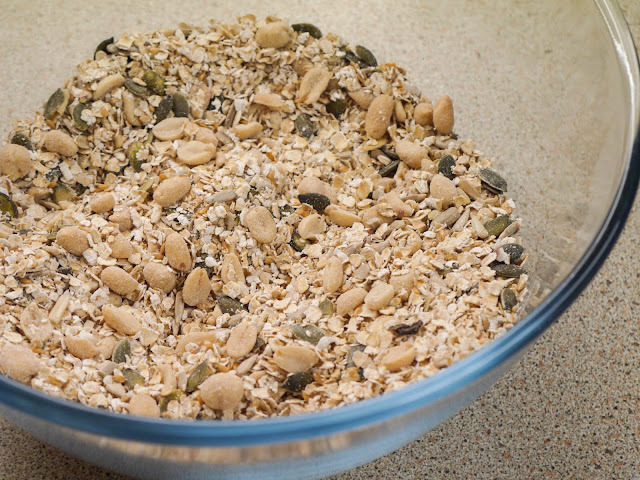 It's one of those things that I've always wanted to make at home but never got round to. One of the reasons was because I was a bit nervous about making a hollandaise sauce from scratch. 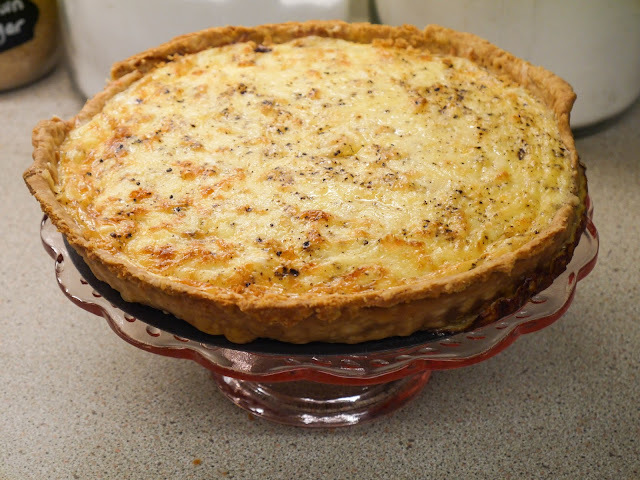 This recipe however used mayonnaise instead of egg yolks to make life a little easier and I must say it was delicious. I did add a little too much cayenne pepper so must remember to dial the spice down a little next time. Poached eggs recipe on my blog: smoked kippers, poached eggs with bubble and squeak. Breakfast and Brunch: Cardamom Banana Drop Scones - In the picture: banana drops scones + green cardamom caramel. 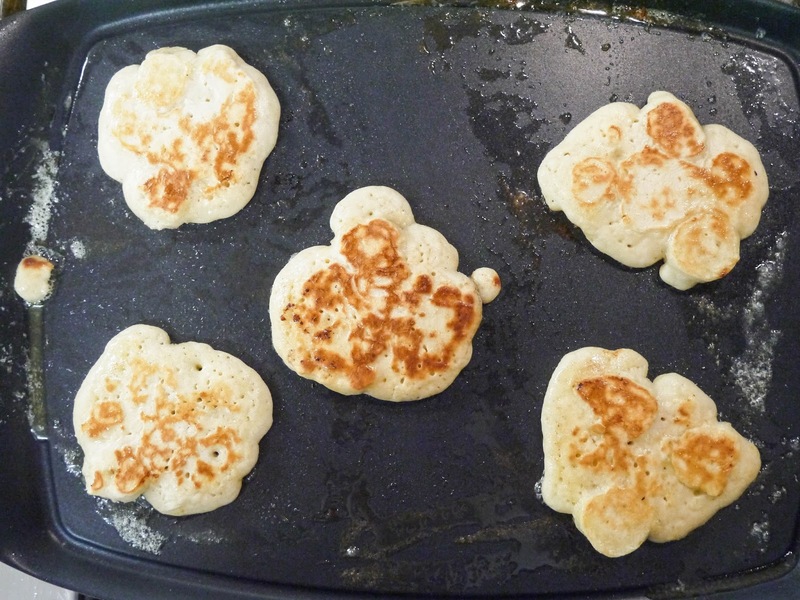 We made these for a weekend breakfast and I must say, they were delicious. 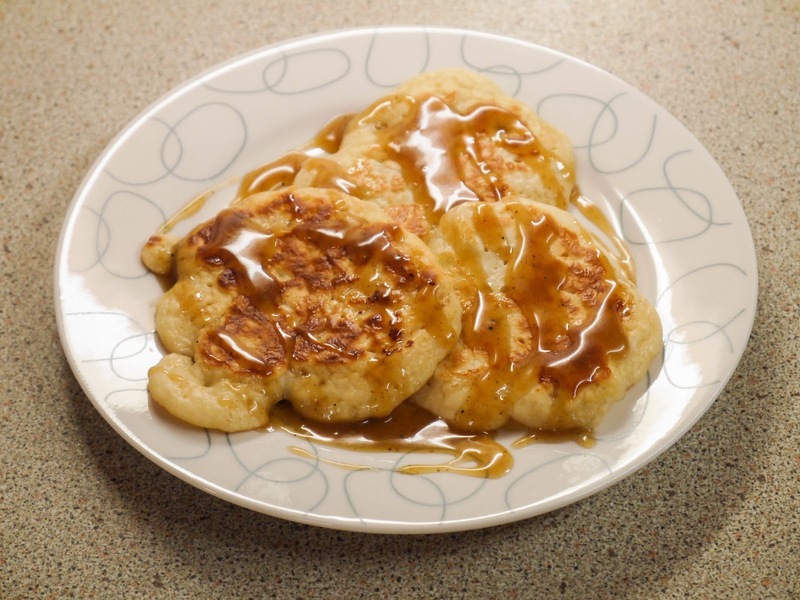 Slices of banana covered by drop scone batter and fried in butter before being drizzled with a cardamom caramel - how could that not be good? I made the caramel by cooking brown sugar and butter before stirring through double cream and ground cardamom. 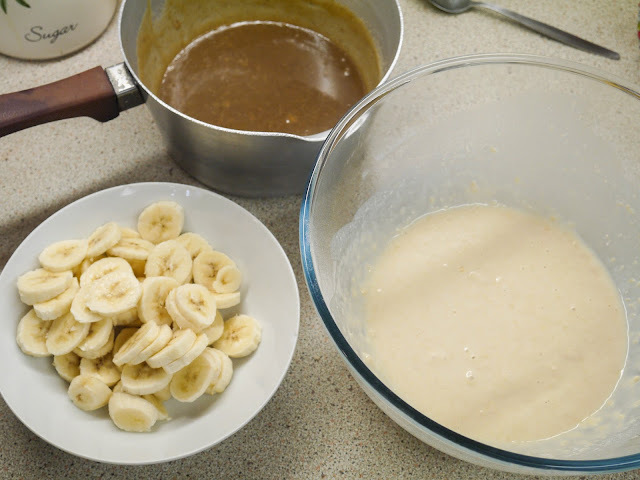 Caramel done and time to get onto the banana scones. 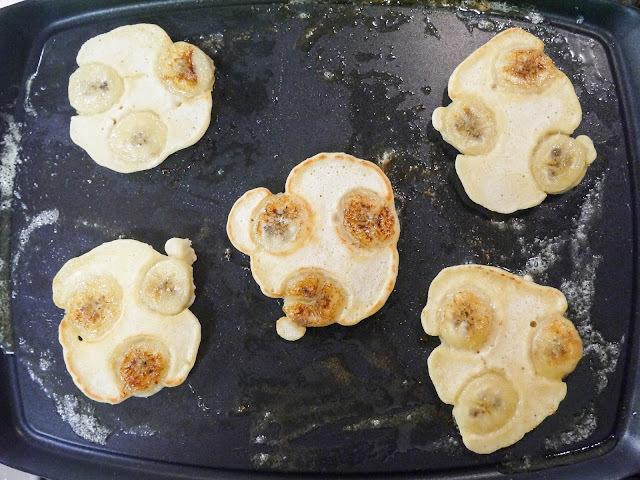 I did three banana slices per drop scone. 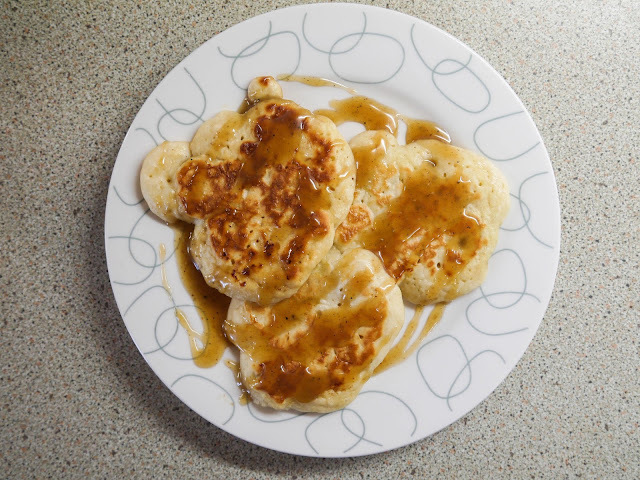 Drizzled with the spiced caramel and ready to eat with a mug of hot coffee. 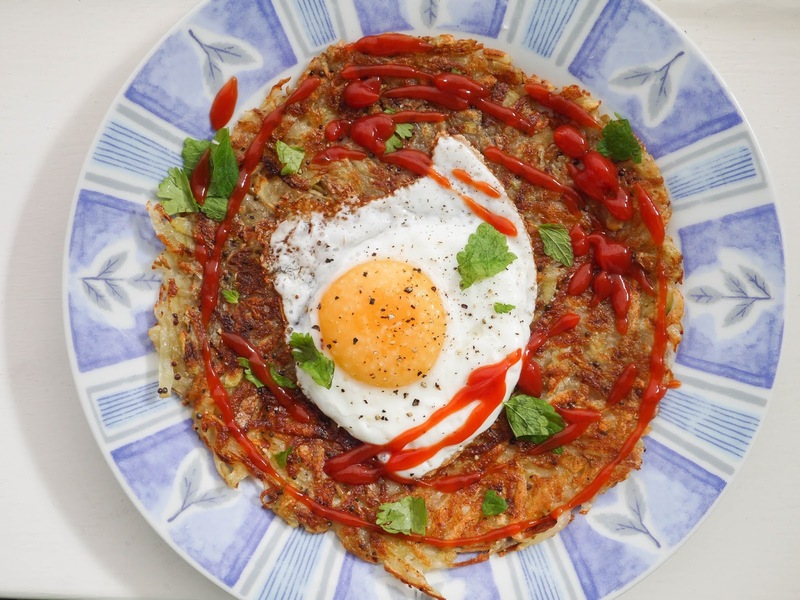 Breakfast and Brunch: Brown Mustard Potato Rosti - In the picture: potato rosti + fried egg + tomato sauce + fresh coriander. 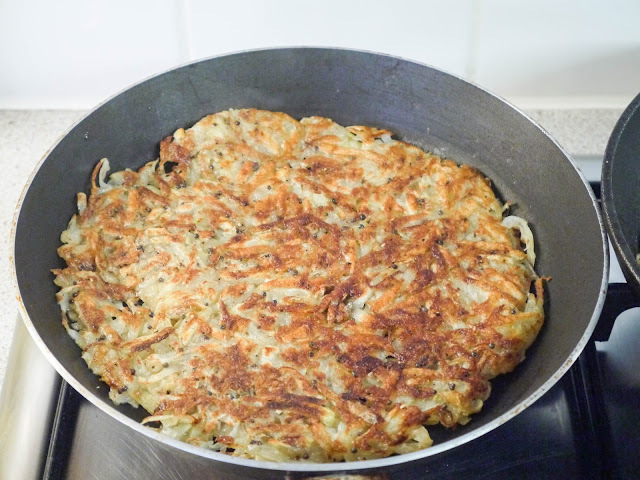 We love potato rostis so just had to give this recipe a go. I didn't have any brown mustard seeds that the recipe called for so instead used black and they were just fine. The rostis were really simple to make - just grated potato, black mustard seeds, salt and black pepper. 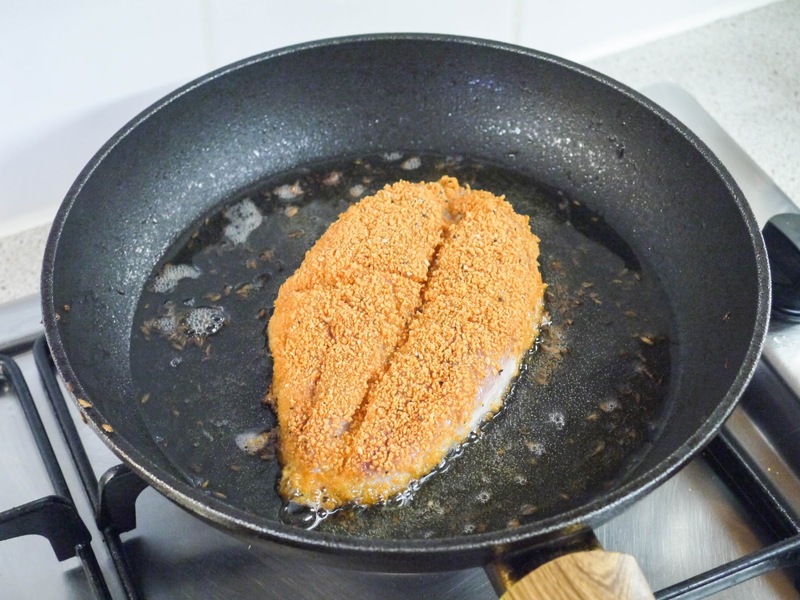 The mixture was flattened out in a hot pan and fried until golden brown and crispy. I topped mine with a fried egg and lashings of ketchup. 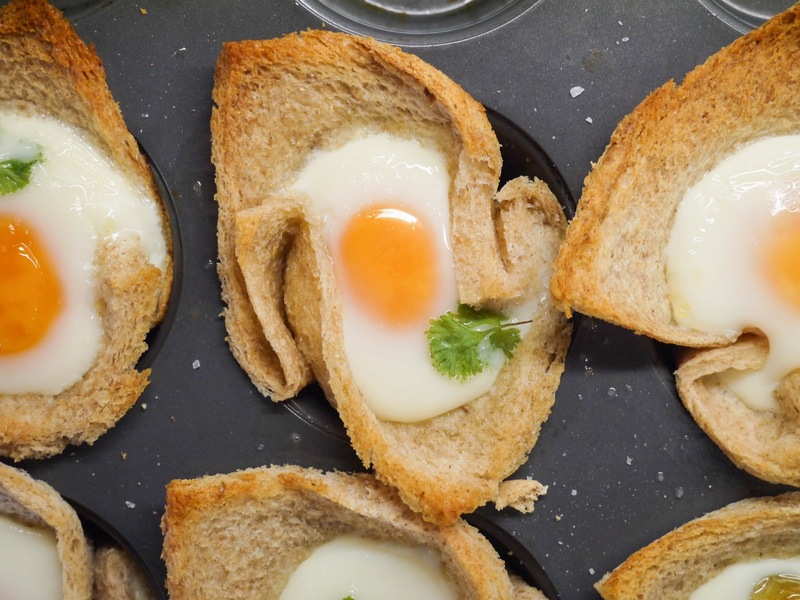 Breakfast and Brunch: Garlic & Parsley Egg Cups - In the picture: baked bread cups + eggs + fresh parsley. Another recipe idea that I had wanted to make for ages - baked eggs in slices of bread. 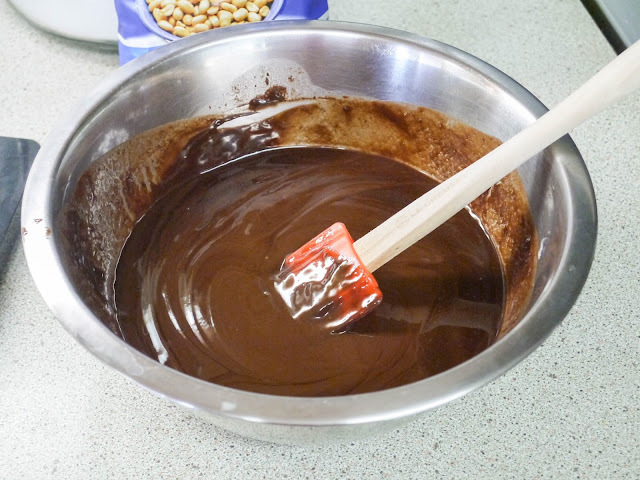 I love that the recipe used such simple ingredients. 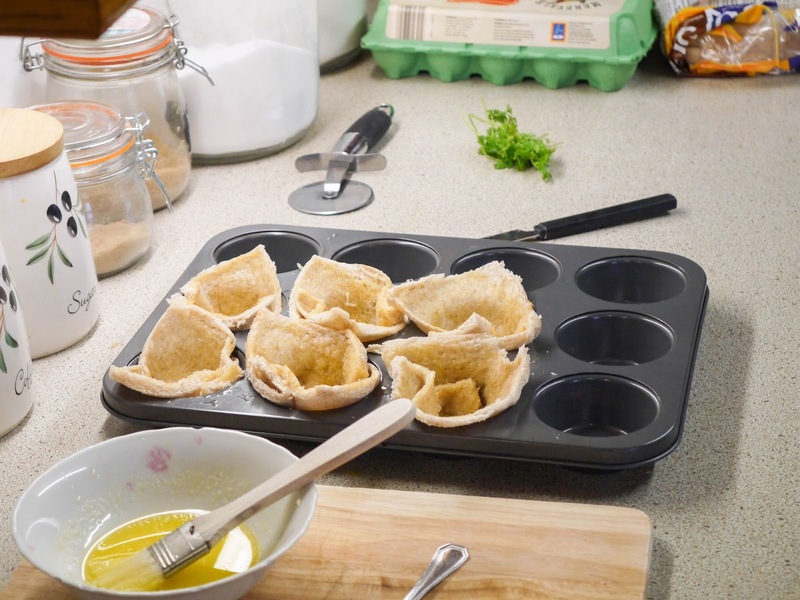 These egg cups had a garlic butter vibe going on. 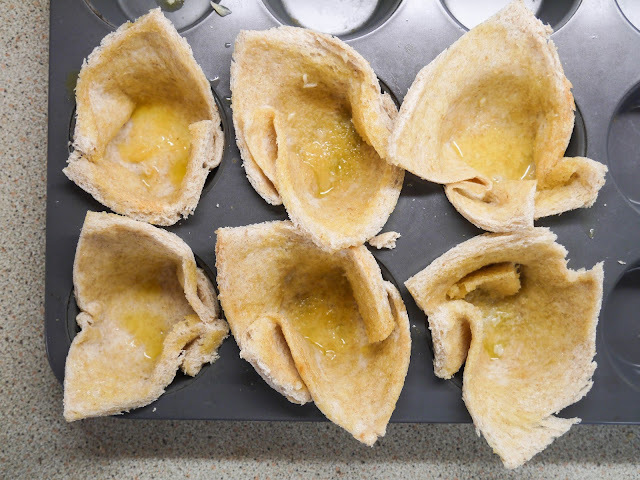 The bread slices had the crusts cut off and were then rolled to make them thinner and easier to mould into the tin. I bought medium eggs to use in this recipe as large eggs would have been a little too big. 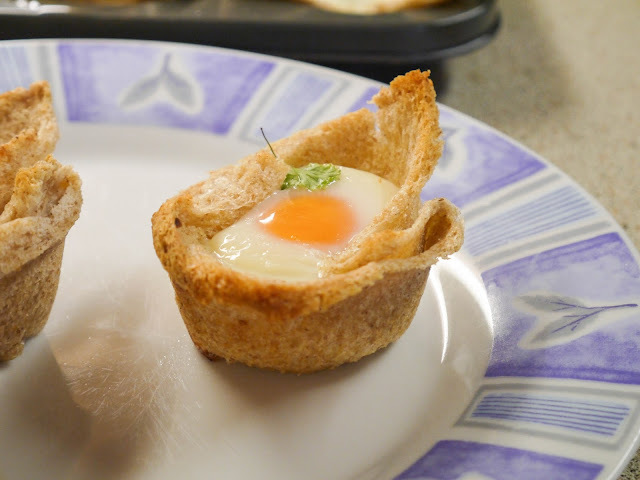 A sprig of homegrown parsley on each egg cup and they went in to bake. 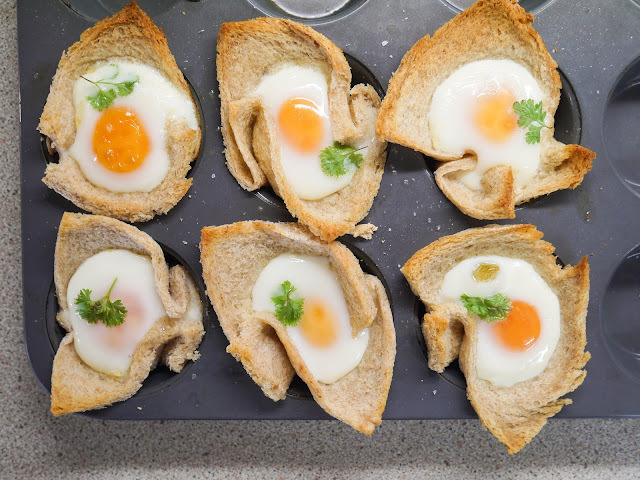 Portable and really cute - I just wish that I had baked them for a few minutes less as I like my yolks runny. Breakfast and Brunch: Masala Eggy Bread - In the picture: savoury French toast topped with spiced red onion and fresh coriander. This was another egg dish I couldn't resist trying. 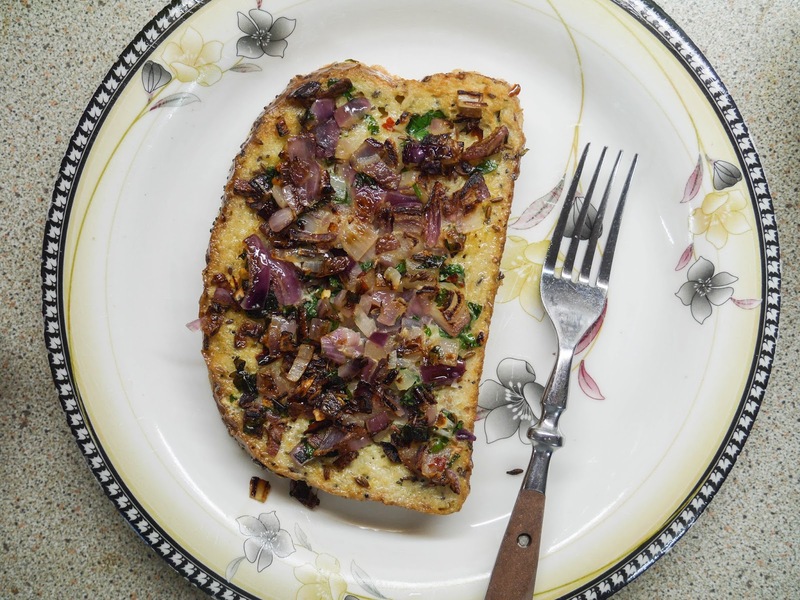 It's in the breakfast section but would make a great lunch or simple dinner. 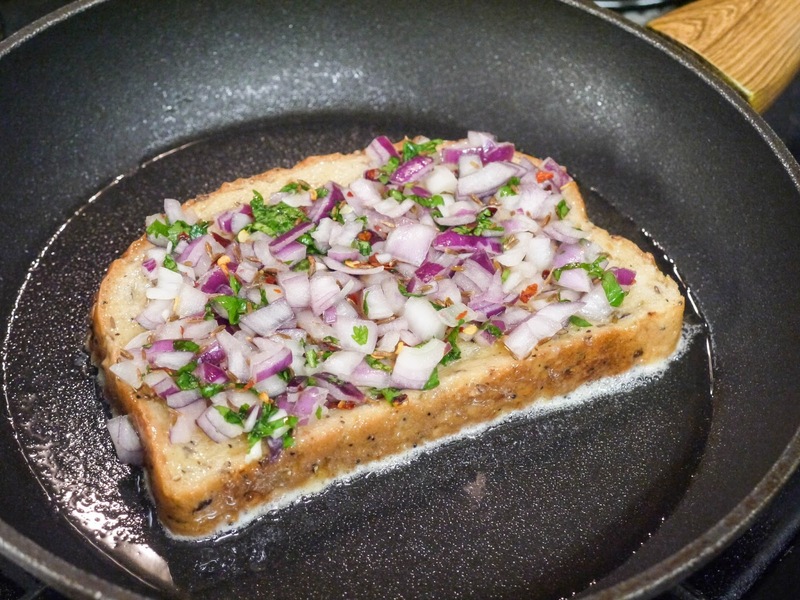 The topping is a mixture of red onion, cumin seeds, chilli flakes and fresh coriander. 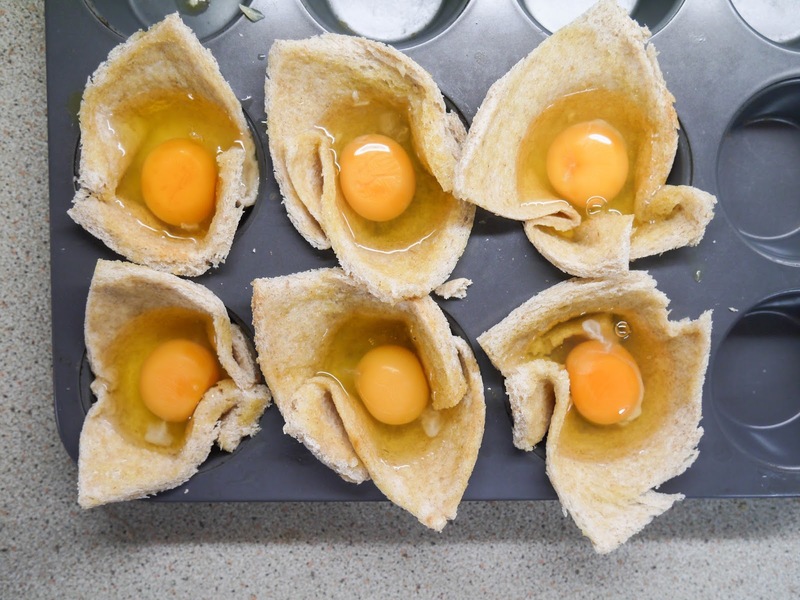 Eggs were whisked and then, slices of bread were dipped into them. Once the bread was in the pan, the topping was spooned on. 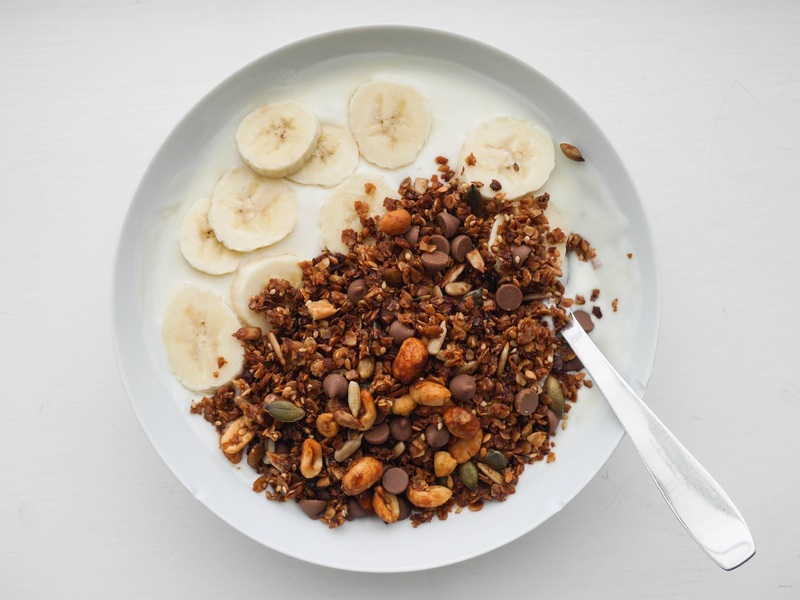 Breakfast and Brunch: Peanut Granola - In the picture: honey vanilla yoghurt + sliced banana + peanut granola. 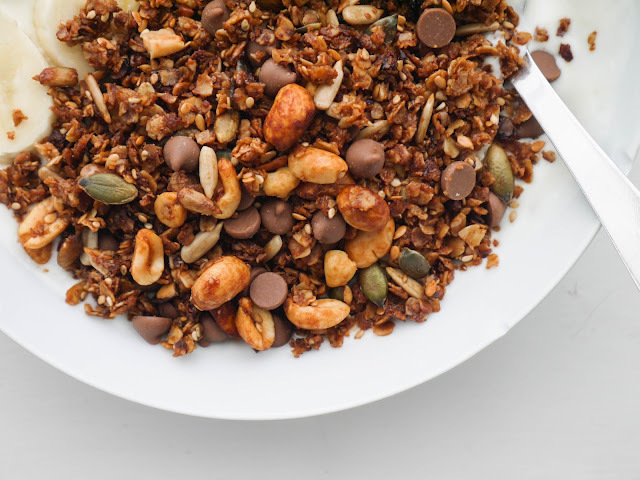 I've been loving all things peanut and chocolate lately so couldn't resist giving this granola a go. It was so good! I had it for breakfast a couple times with yoghurt and bananas but honestly, my favourite way with it was simply as an afternoon snack. The dry ingredients included oats, seeds and peanuts. A mixture of butter, honey and dark brown sugar was stirred through. And, the whole thing was tipped onto a baking tray and baked until crispy and golden. I did manage to burn some of the edges which were obviously left out of the end product. 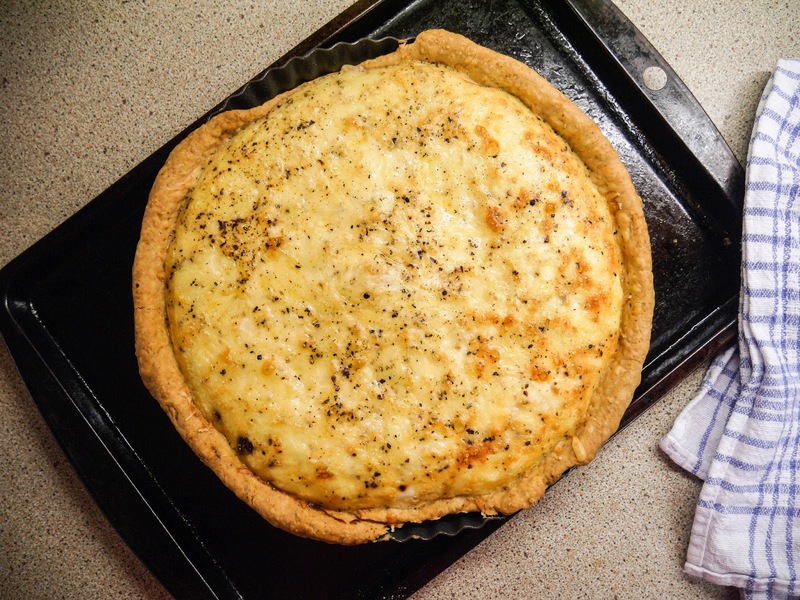 For the Love of Lunch: Ploughman's Cheese & Pickle Tart - In the picture: paprika shortcrust pastry base + cheese and pickle filling. As I was doing the first flick-through this book, this tart jumped out at me. 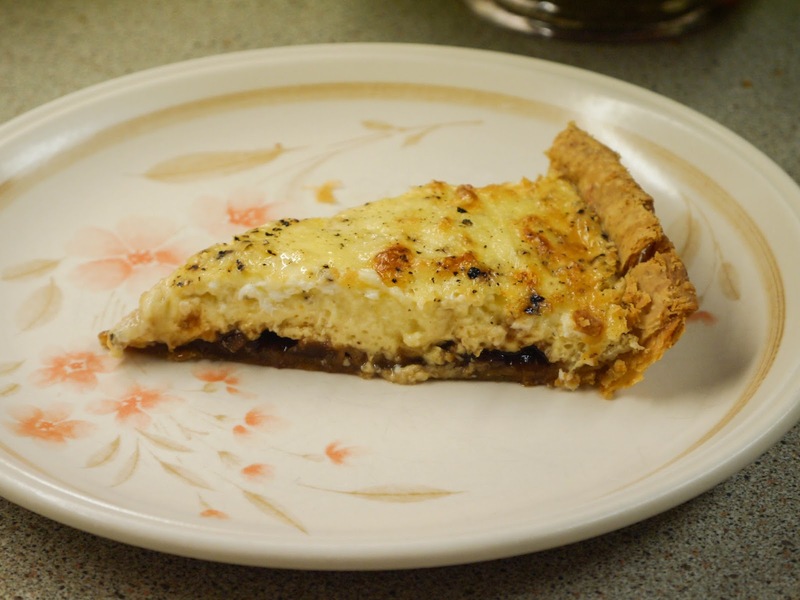 I love anything cheese and pickle so just had to give this tart a go. What made this tart so easy was that it used ready-made shortcrust pastry. 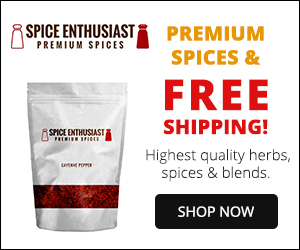 Paprika was kneaded into the pastry adding an extra kick. I used my favourite Branston pickle in this tart. The pickle was liberally spread over the blind-baked pastry. 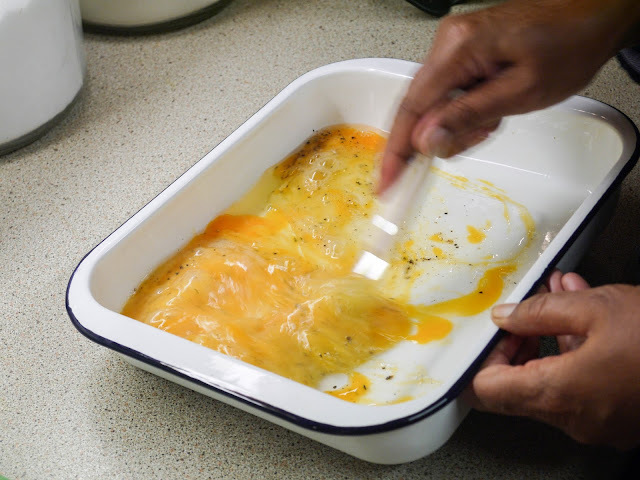 The pickle was topped with a mixture of milk, eggs and lots of Cheddar before being baked until golden. 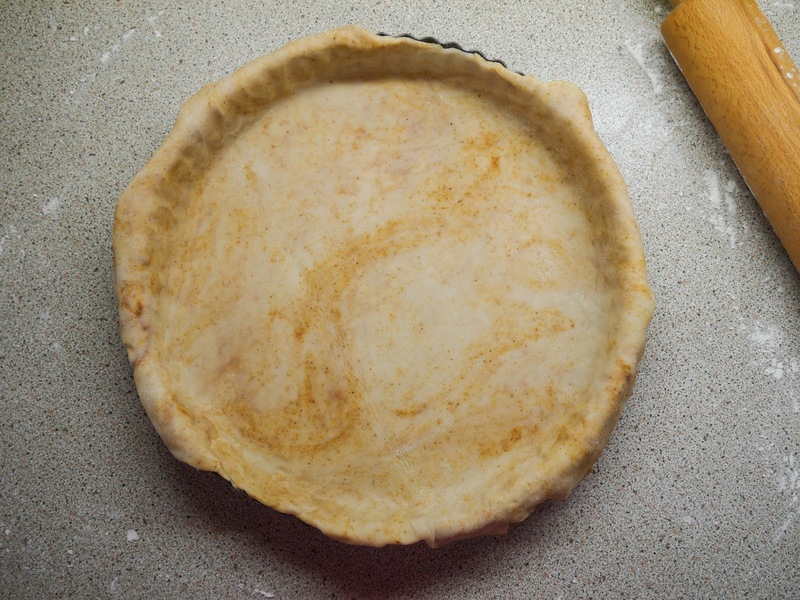 I sliced the tart way too soon. 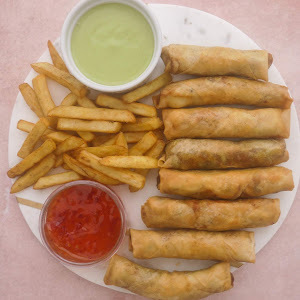 It is much better eaten lukewarm or cold. A must-make for any cheese and pickle fans out there! 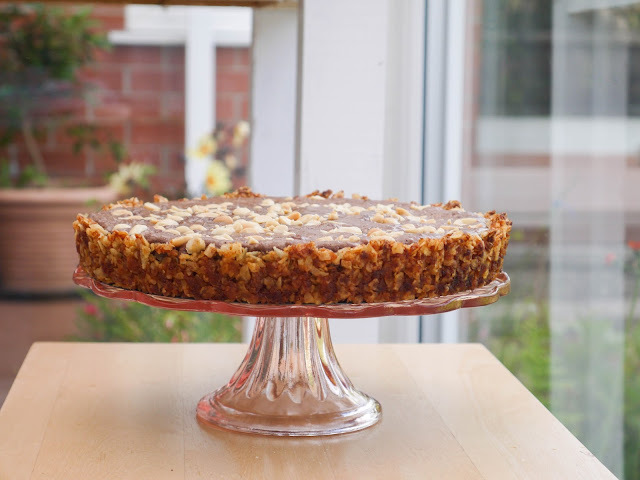 You can find the full recipe here! For the Love of Lunch: Coronation Turkey Jacket Potato - In the picture: baked potato + coronation chicken filling + spring onion. 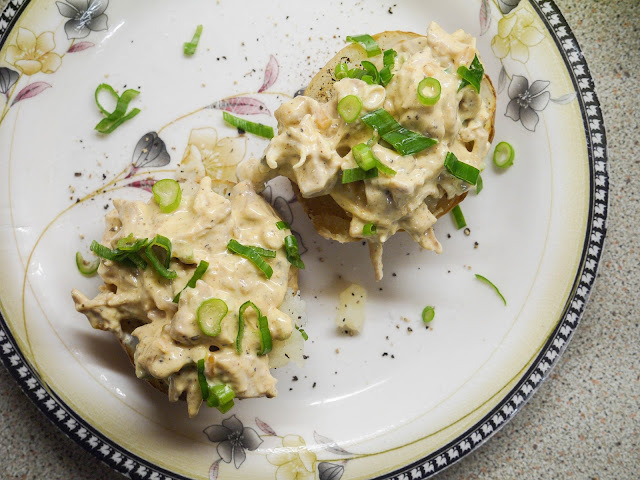 I hadn't eaten a jacket potato in what felt like forever so this recipe was discovered at just the right time. I used chicken instead of turkey and it worked just as well. 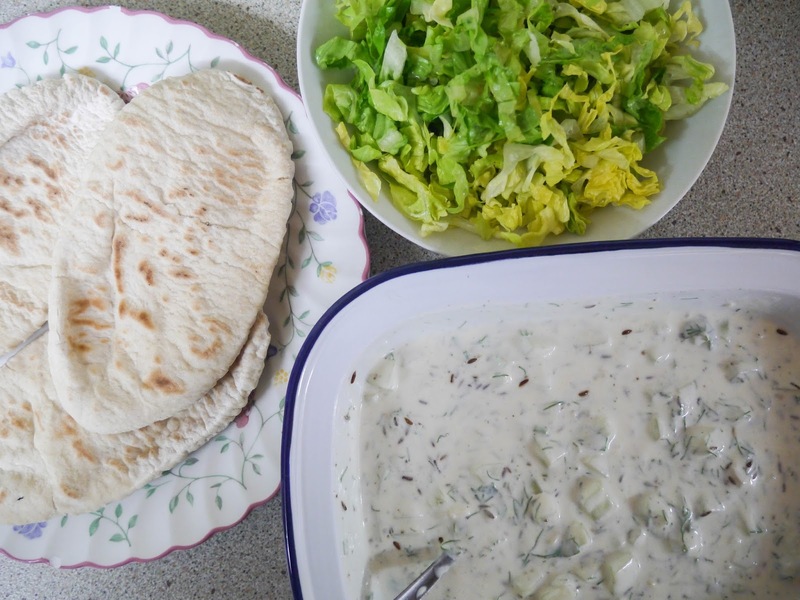 We all loved this meal - a definite one to make again. 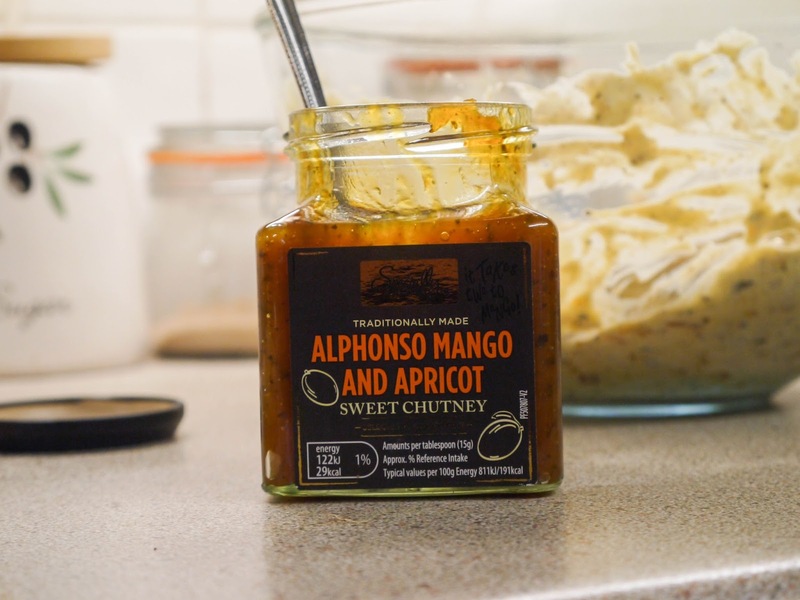 The recipe used sweet mango chutney but I made do with this one that had the addition of apricot. 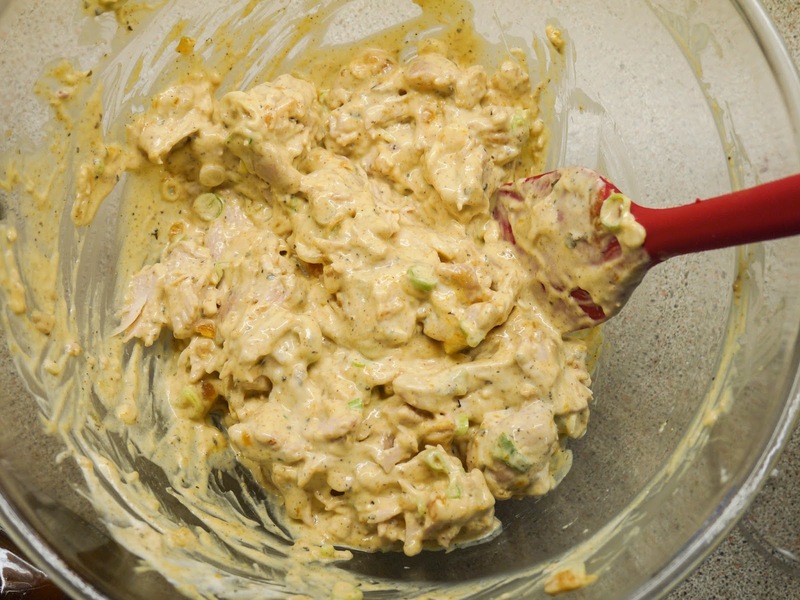 The topping was a mix of cooked chicken, mayo, Greek yoghurt, curry powder, spring onions and sweet mango chutney. 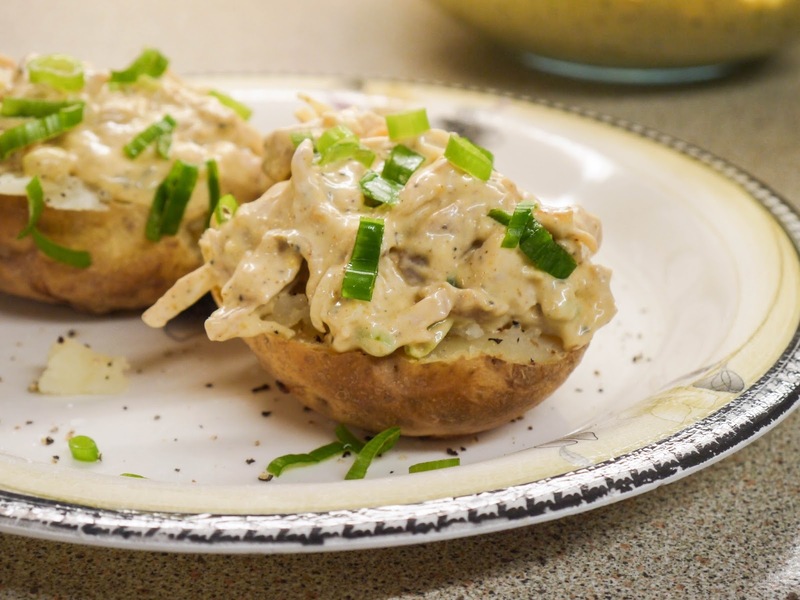 Spooned over baked jacket potatoes for a very satisfying dinner! 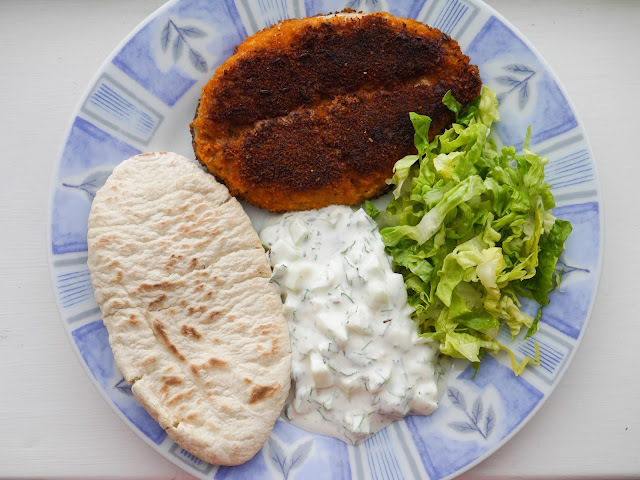 For the Love of Lunch: Breaded Mackerel in Tzatziki Pittas - In the picture: breaded mackerel fillet + shredded lettuce + tzatziki sauce + pitta. 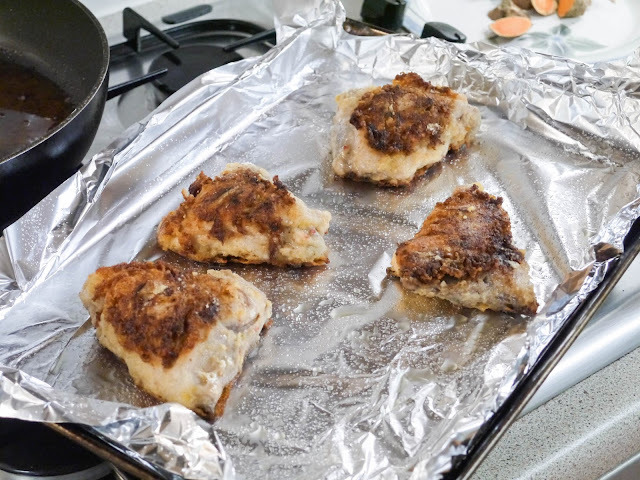 We've been doing fish Friday pretty regularly this Summer and have been trying our best to eat a different fish each time. 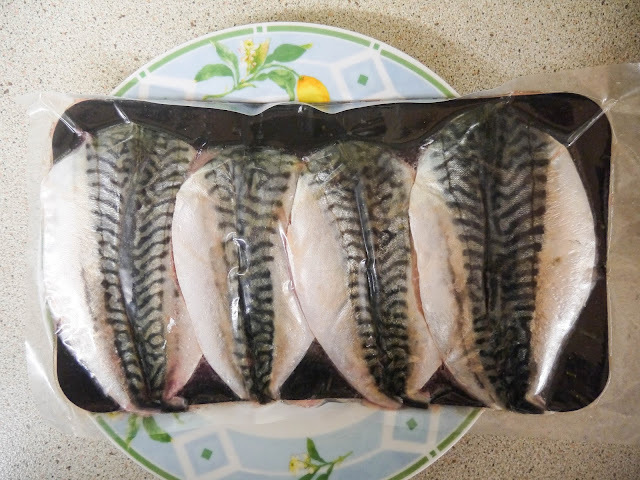 When I saw this recipe, I knew it was finally time for me to try fresh mackerel. 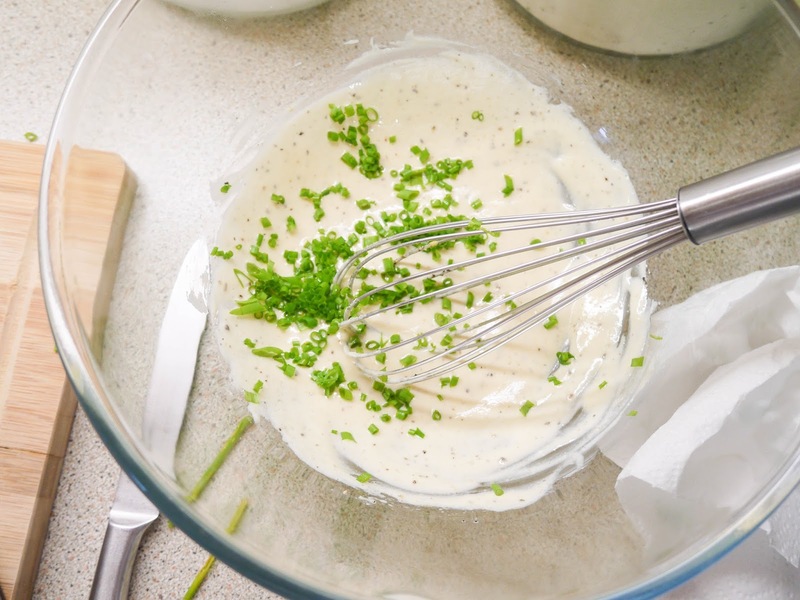 To serve, a tzatzki sauce was made. This is something else that I've never eaten before along with fresh dill which the recipe called for. The fish was served with the sauce, lettuce and pittas. And, am I now a mackerel fan? Unfortunately not as I found it a little too strong. Hey, at least I tried. 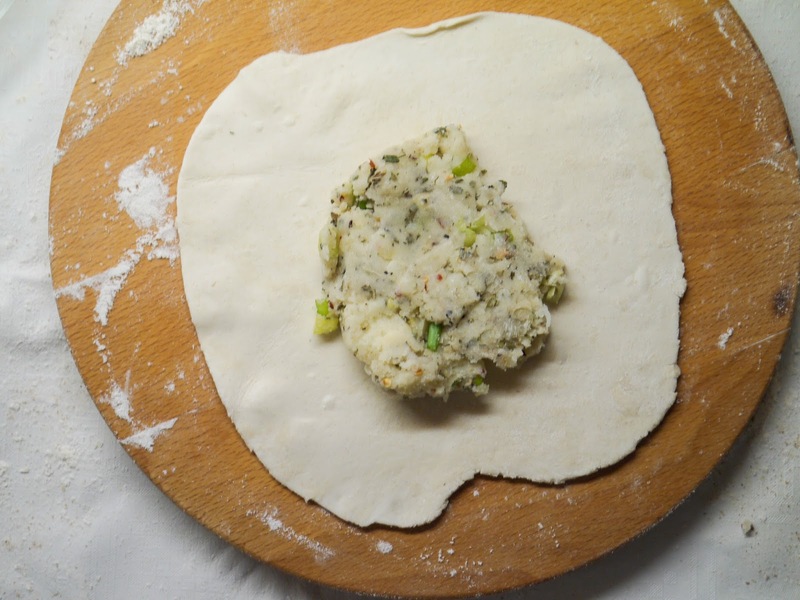 Midweek Meals: Fenugreek Parathas - In the picture: puff pastry paratha stuffed with spiced potatoes and fenugreek. I've seen other people make parathas with ready-made puff pastry but never had the chance to do it myself. 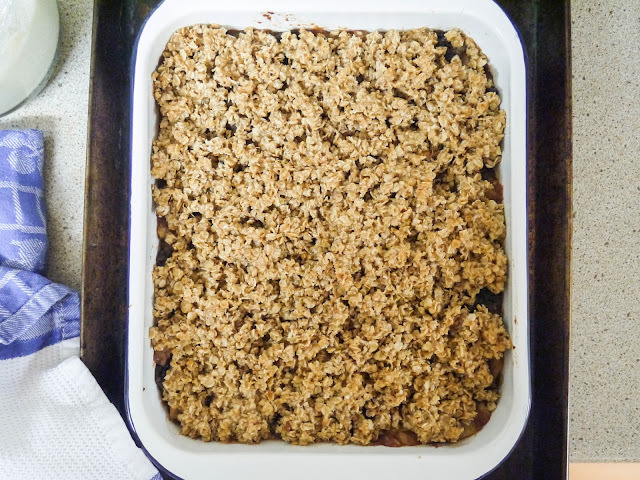 This recipe was my chance! The filling was mashed potato, spring onion, salt, chilli flakes and dried fenugreek. Puff pastry was rolled out and the filling divided up. 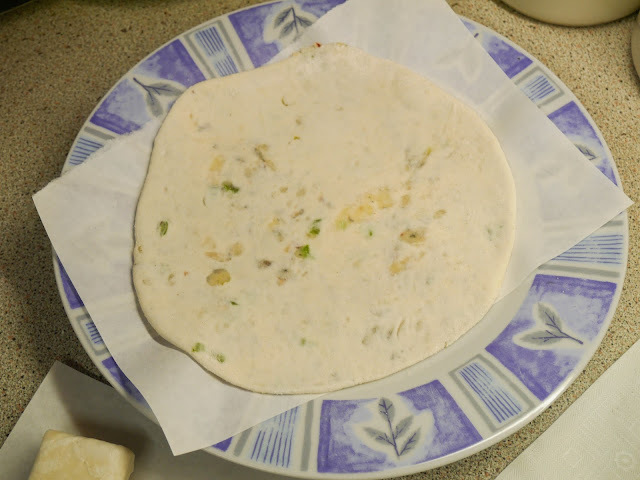 Once rolled, I placed the parathas between sheets of greaseproof paper and into the fridge. 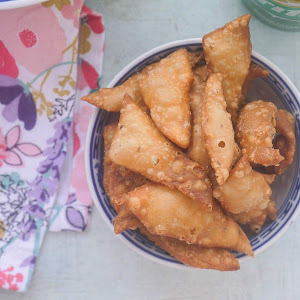 This meant that they were ready whenever needed and that the pastry stayed cold making the parathas extra crispy and flaky. 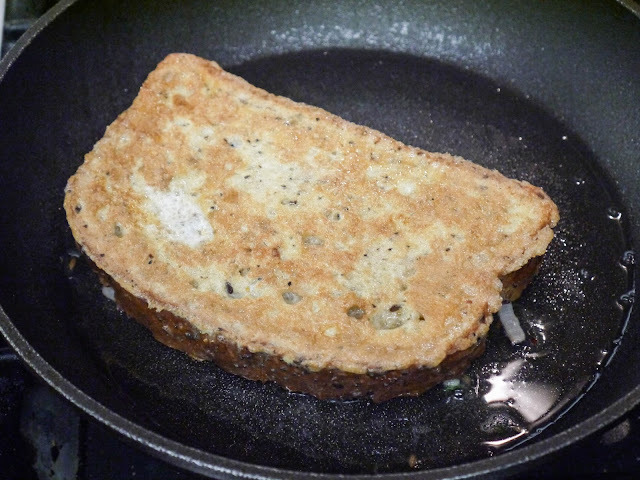 Here is one cooked and spread with butter. 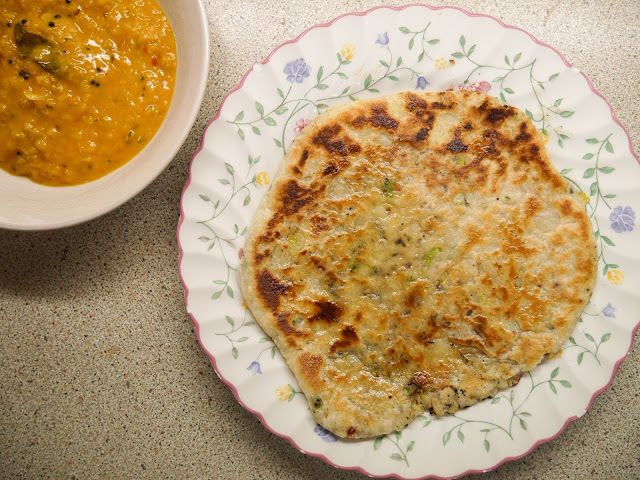 We ate the parathas with hot daal to dunk. 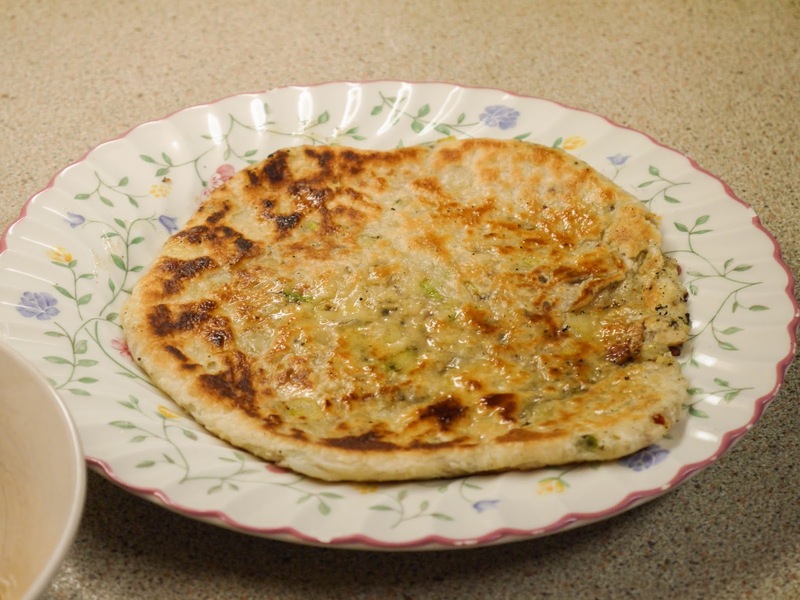 Paratha recipe on my blog: chicken paratha wraps with pink chilli onions. 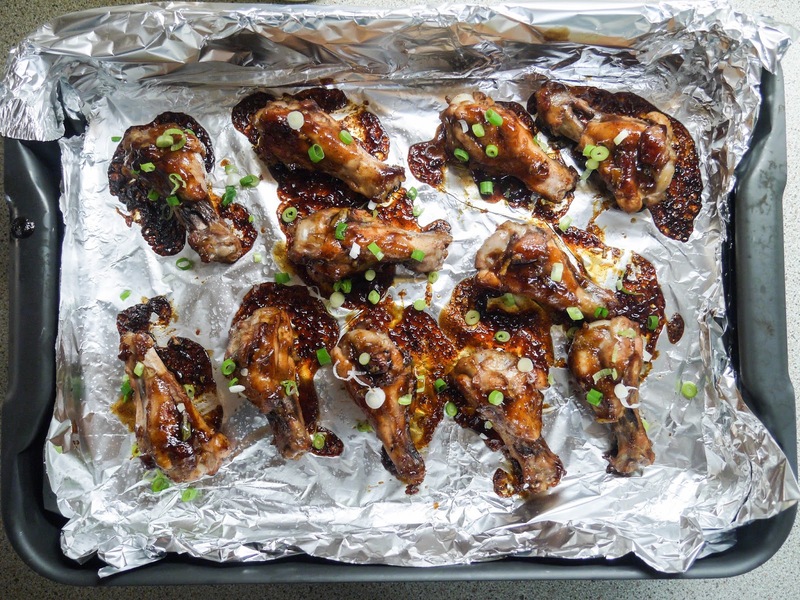 Midweek Meals: Sticky Star Anise Wings with Chunky Chips - In the picture: baked chicken wings coated in a mixture of star anise, brown sauce, garlic, brown sugar, sweet chilli sauce and soy sauce. I didn't make the chunky chips with the wings but made do with some from the freezer. These wings were a real crowd pleaser and disappeared in no time. 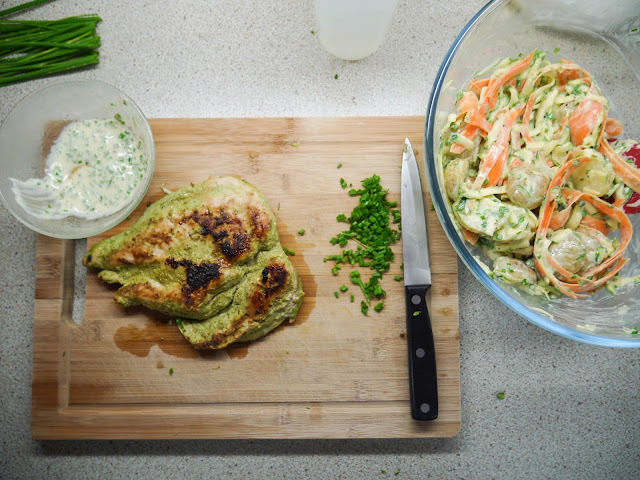 Midweek Meals: Herby Skyr Chicken Salad - In the picture: ginger and fresh parsley chicken with baby potatoes, courgette and carrot in a fresh chive dressing. Guys, I think it's fair to say that this salad was my most favourite recipe from this book. Who would have thought?! But it was so good! 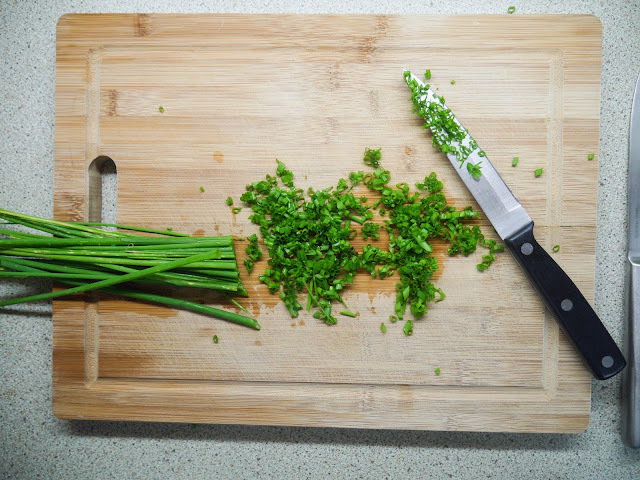 The ingredient that made it was the fresh chives. I used the ones growing in our garden. 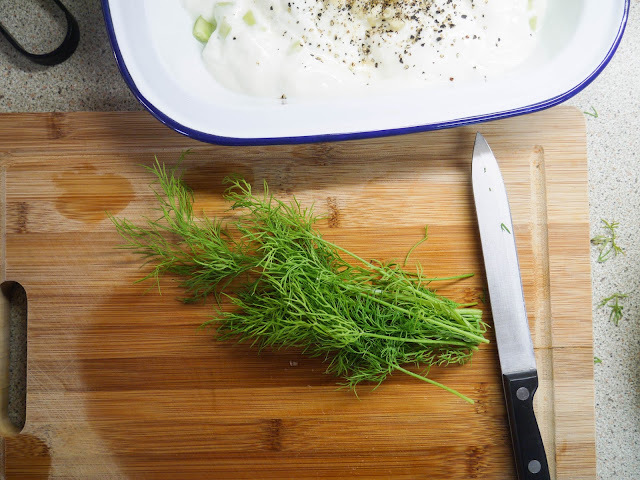 The dressing was Greek yoghurt (I didn't have the natural Skyr the recipe used), olive oil, Dijon mustard, apple cider vinegar, honey, salt, pepper and of course, those fresh chives. 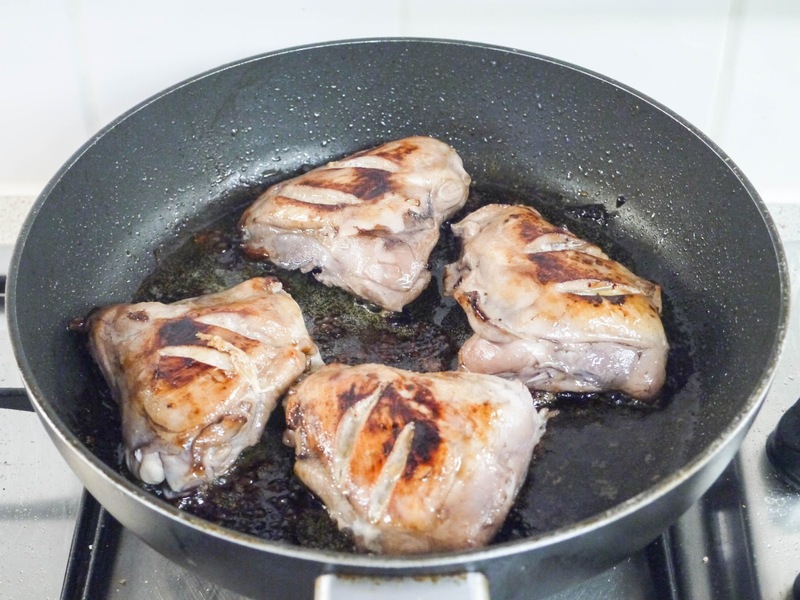 The chicken was cooked and set to cool. A little of the dressing was tossed with baby potatoes, carrot and courgette. This salad is Summer on a plate. Honestly, we loved it! 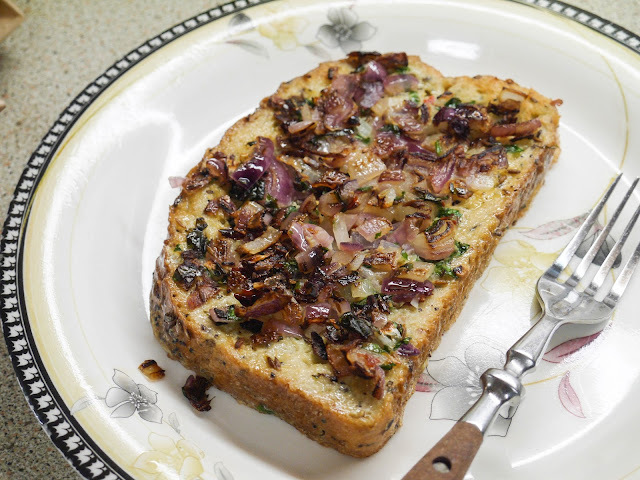 Find the full recipe here! 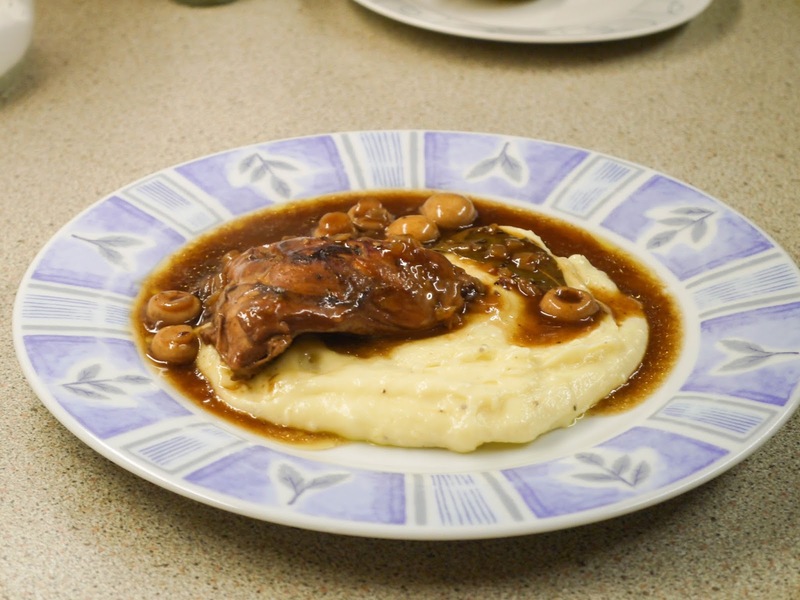 Midweek Meals: Bay-Infused Coq Au 'Vin' with Creamy Mash - In the picture: chicken and mushroom stew with creamy mashed potatoes. Guys, this is another dish which we loved. It's basically a French chicken stew and was served with the creamiest mash ever. 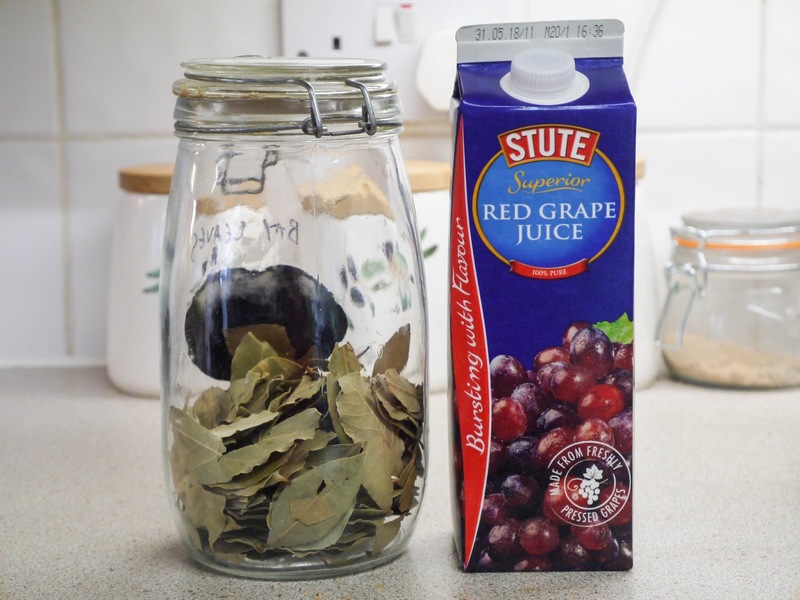 Traditionally, this dish is made with wine but Nadiya's recipe used red grape juice making it fully Halal and perfect for us. Chicken thighs were soaked in the grape juice with bay leaves. Before being browned off in butter. 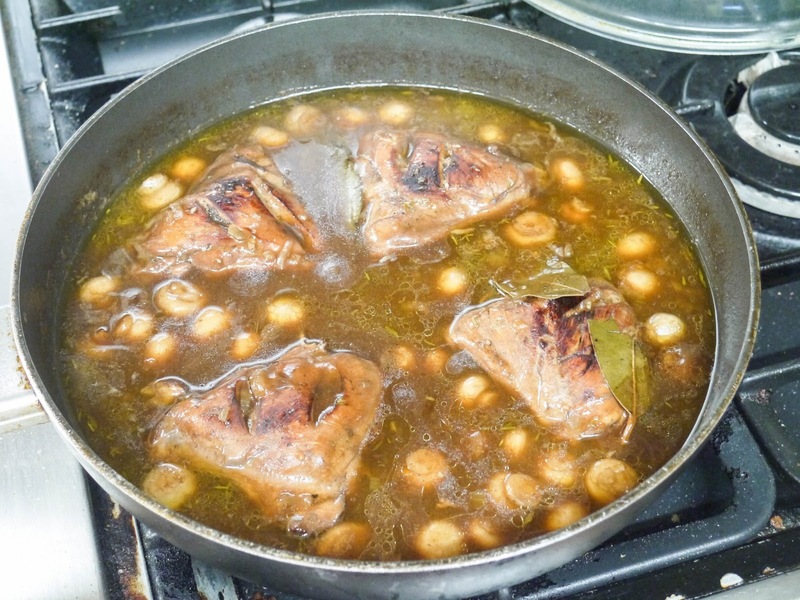 The stew was cooked with onions, garlic, button mushrooms, chicken stock, Worcestershire sauce, the leftover grape juice and bay leaves and fresh thyme. 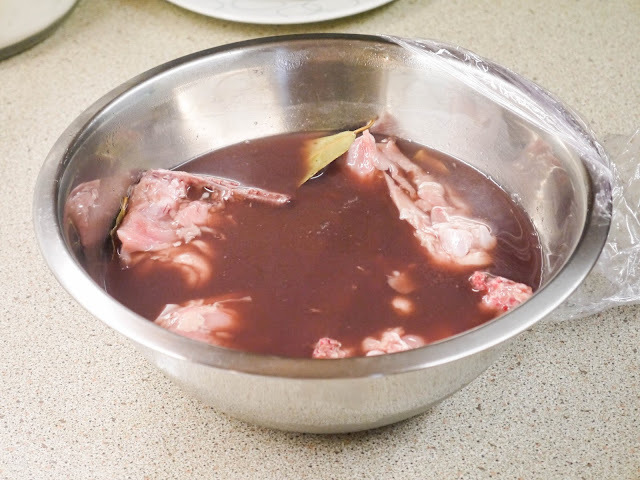 Once it had simmered down, it was thickened with a little cornflour. 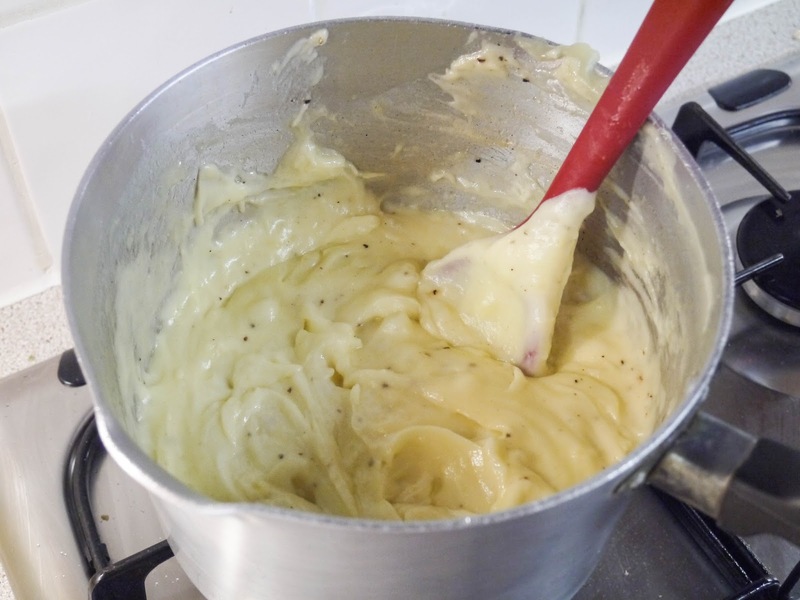 The mashed potatoes were so creamy with potatoes, double cream, butter and mayonnaise. A proper Winter warmer which no one minded eating in the middle of August! 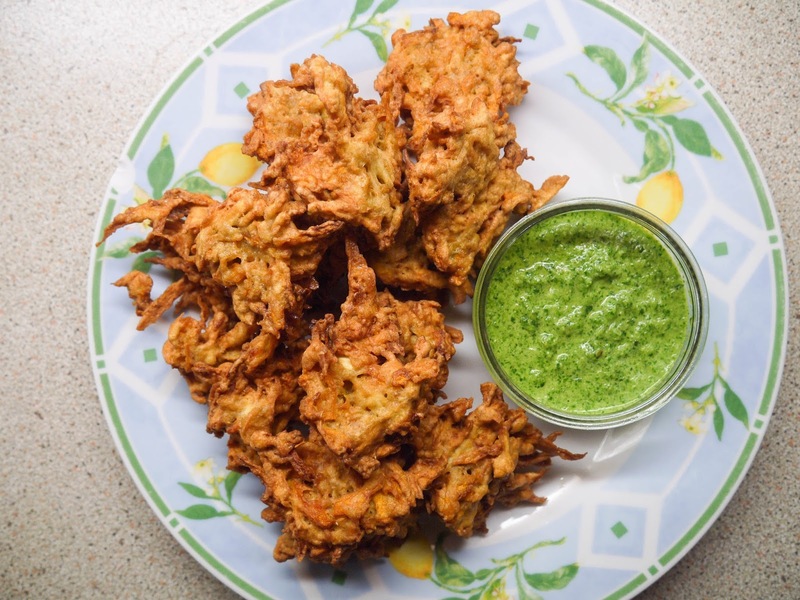 Friends Over: Curry, Carrot & Parsnip Bhajis with Coriander & Chilli Chutney - The only thing I hated about this recipe was having to grate the parsnips. Who knew it could be so hard? 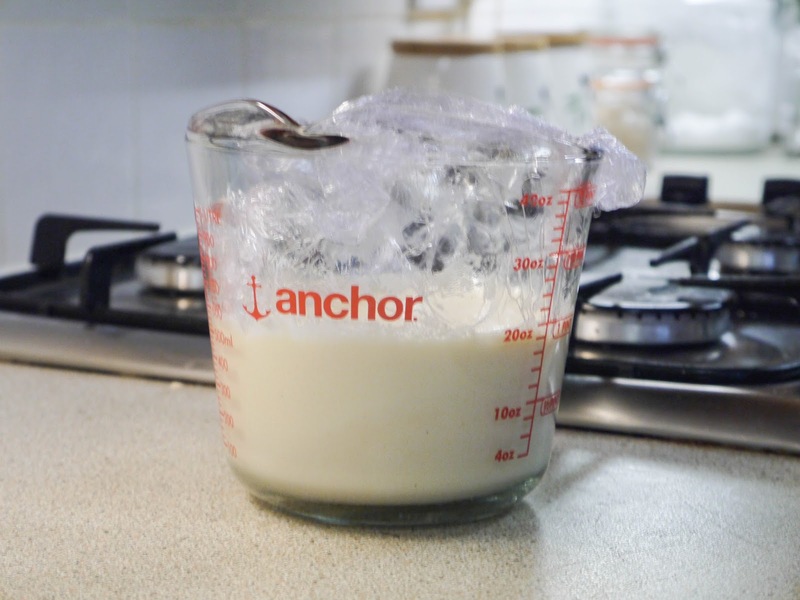 Next time, I'll use food processor. 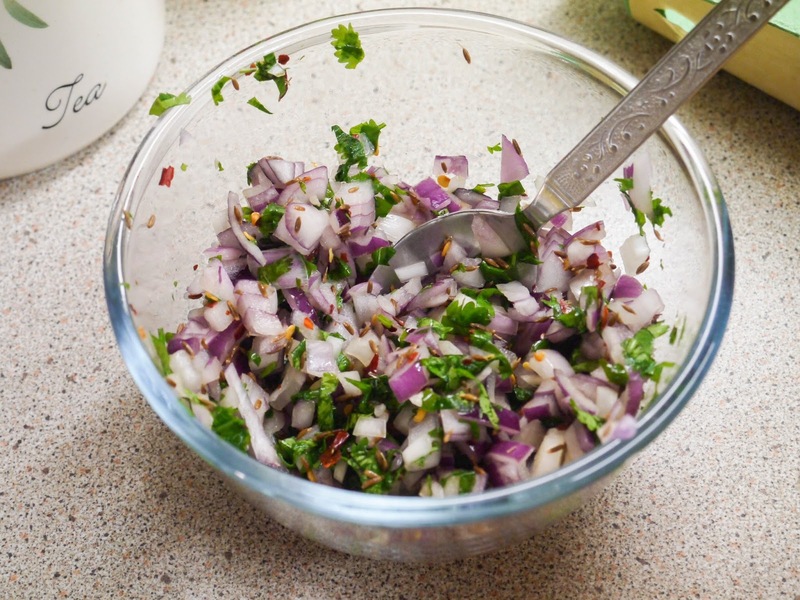 The chutney was amazing with fresh coriander, green chillies, lemon juice, olive oil, salt and sugar. 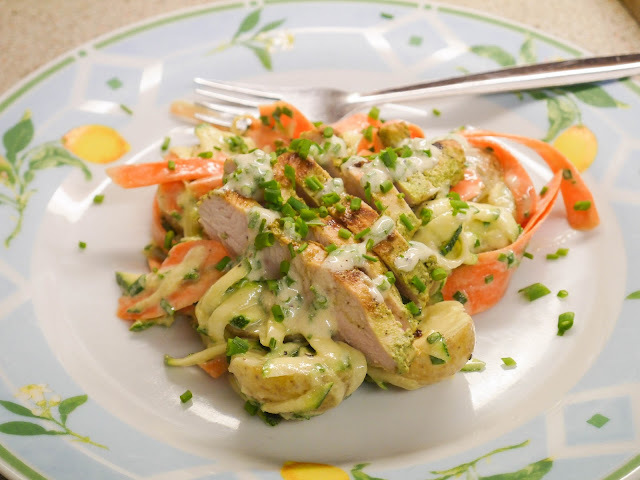 Find the full recipe for it here! 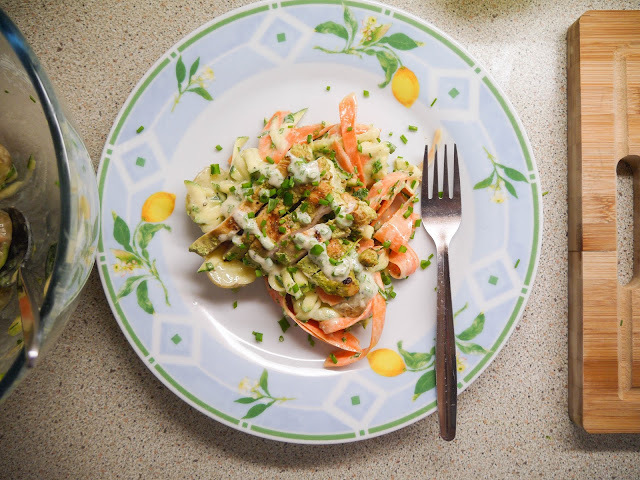 Friends Over: Jerk Haddock & Jollof Rice Salad - This salad made a lovely weekday lunch. 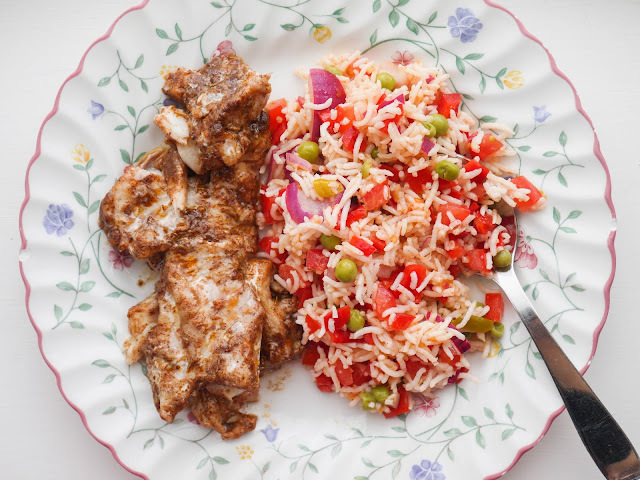 In the picture: haddock baked with jerk spices and a rice salad with onion, red pepper and tomatoes. 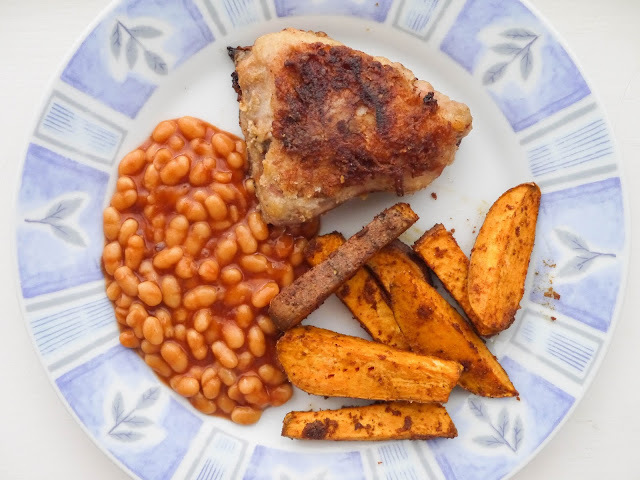 Friends Over: Crispy Chicken with Sweet Potato Fries & Barbecue Beans - This crispy chicken was a lovely change from the usual deep-fried version. 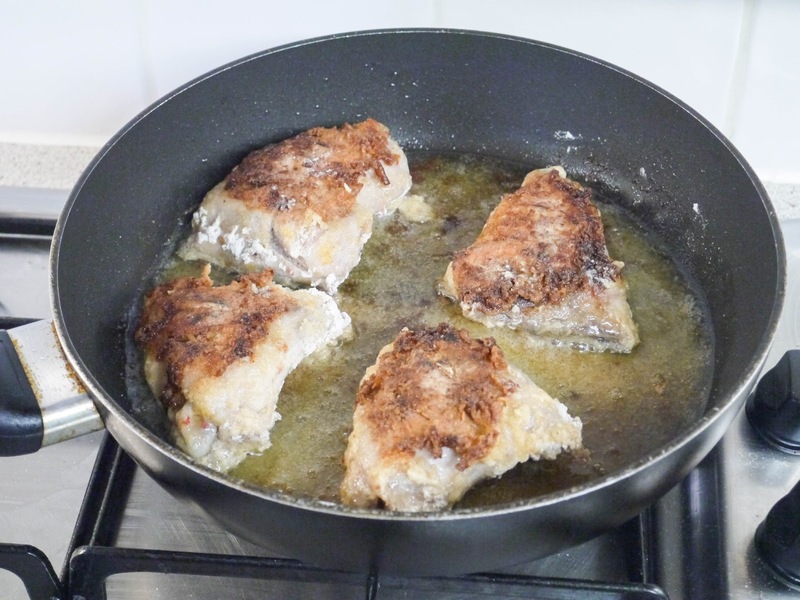 Chicken thighs were soaked in sweet chilli sauce before being dipped into a spiced flour mix and fried until crispy in a pan. Then, the chicken went into an oven to finish cooking along with sweet potato wedges with garlic powder and paprika. 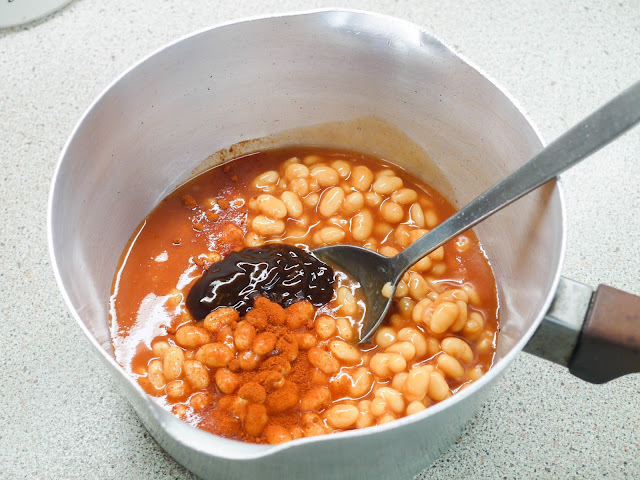 On the side, baked beans heated up with smoked paprika and brown sauce to make barbecue beans. 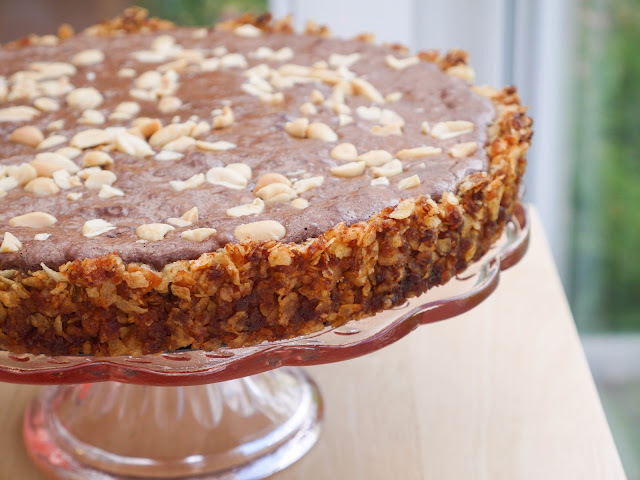 See the full recipe here! Party Time: Citrus Lamingtons - For the coconut lovers in my life, I baked these citrus lamingtons. 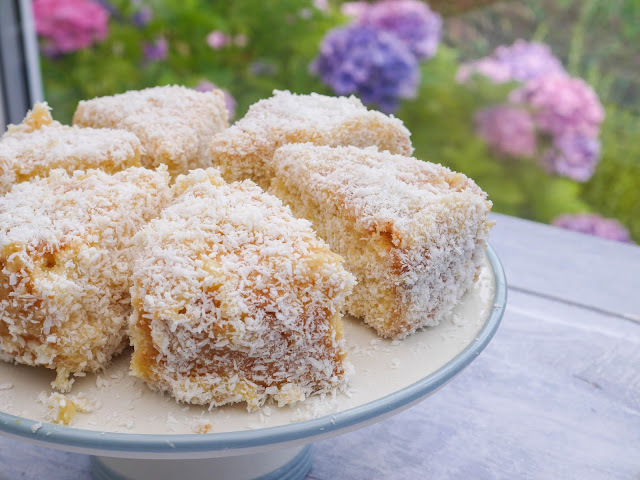 Pieces of sponge cake flavoured with lemon, orange and lime, coated in a citrus curd before being dunked in coconut. 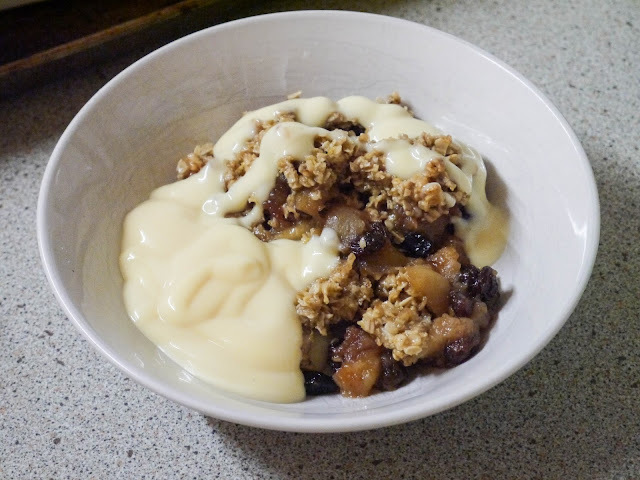 Pudding: Flapjack Cinnamon Apple Crumble with Vanilla Custard - This is a recipe that we had to try. We love flapjacks and we love apple crumble so it was a no brainer, really. 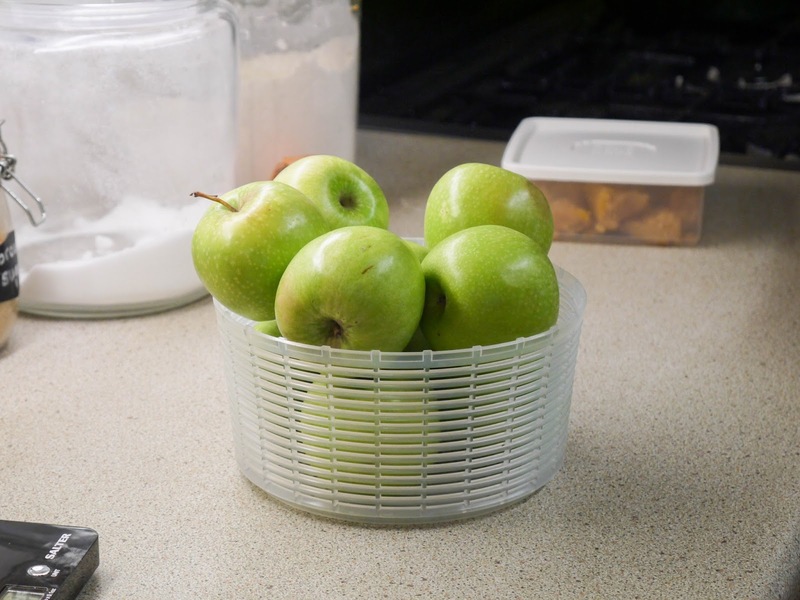 How autumnal do those green apples look? 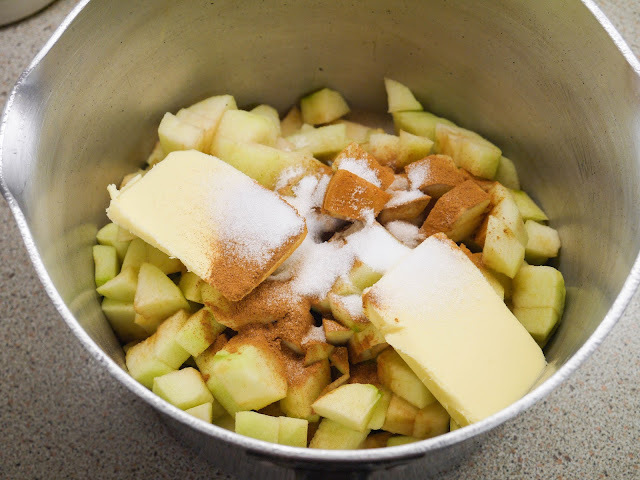 The apples were cooked down with butter, cinnamon, brown sugar and lemon juice. The juices were thickened with a little cornflour and raisins were stirred through. 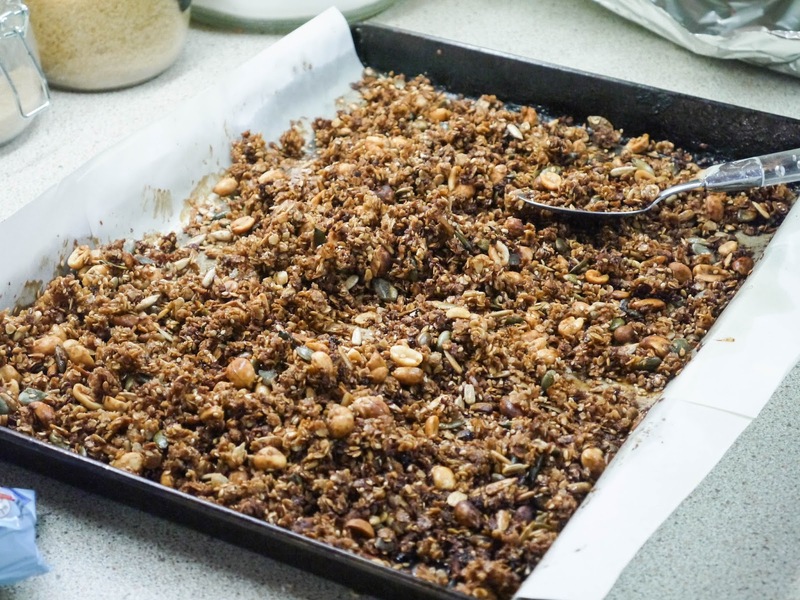 The apples were topped with what was essentially a flapjack - toasted oats, lemon zest, butter, brown sugar and golden syrup. As the crumble baked, I tried my hand at the vanilla custard. Unfortunately, I ended up curdling it and so had to make do with ready-made. 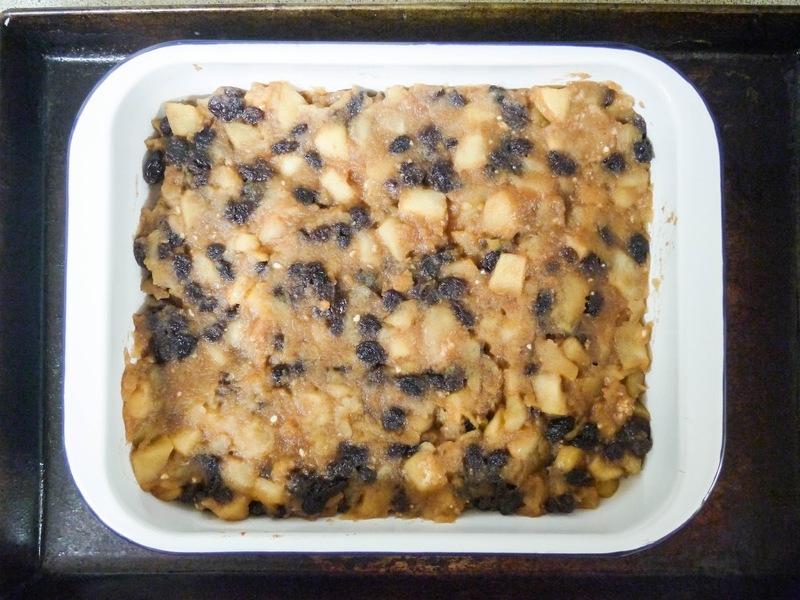 The sweetest, most warming pudding I can think of. See the full recipe here! 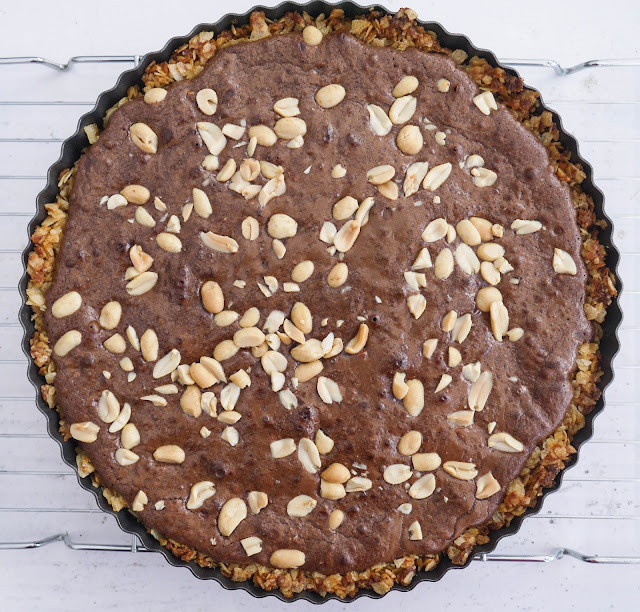 Something Special: Crispy Chocolate & Salted Peanut Tart - Finally, we have what was the last recipe in the book but one that I really wanted to make. 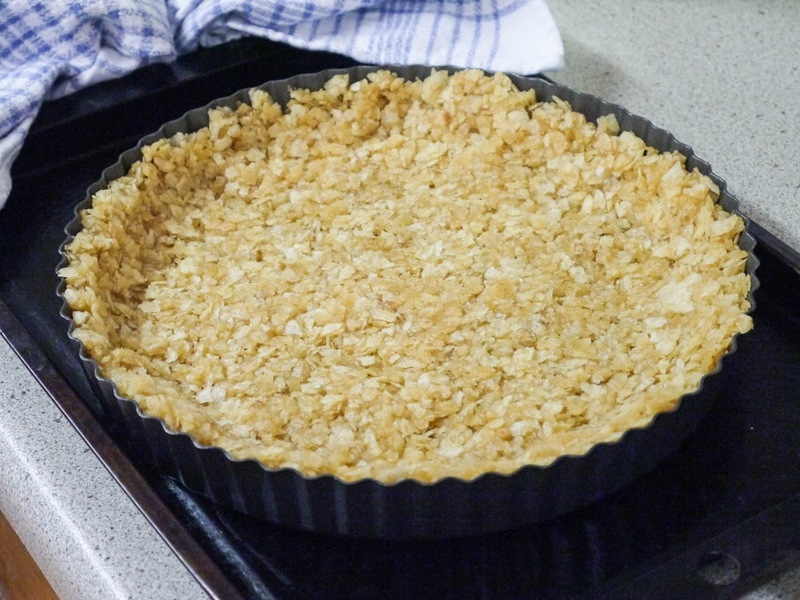 A tart that uses crisps in its base - this really called to my love of all things sweet and salty. I did make a slight mistake with the base though. 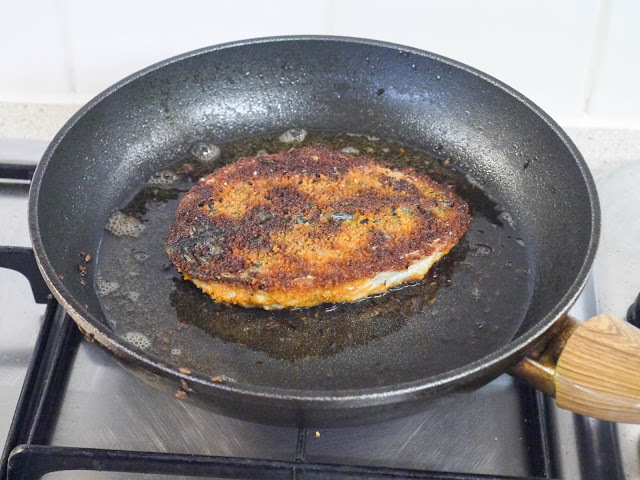 I didn't use thick-cut crisps as the recipe suggested so the base wasn't the best. The filling certainly made up for it though. It was halfway between a brownie and fudge, it was so decadent. 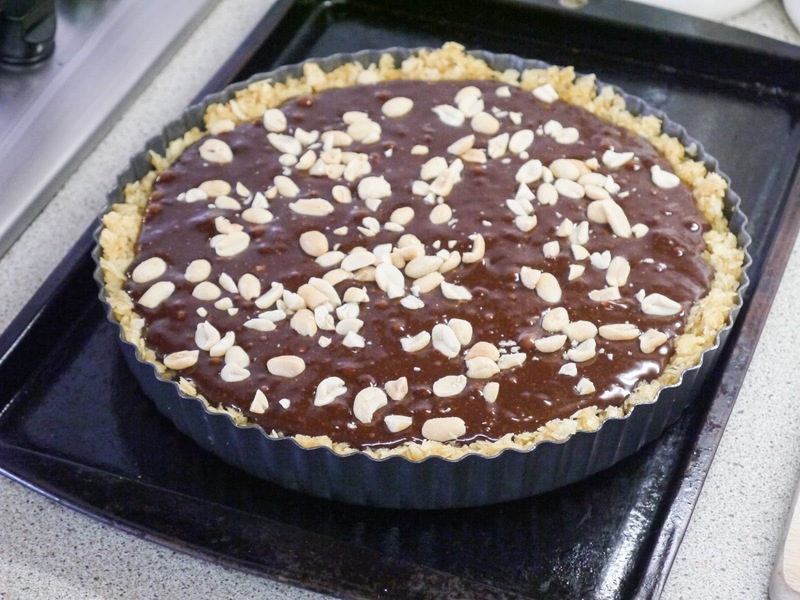 Roasted and salted peanuts finished the tart off before it went in to bake. ... I couldn't resist giving it a slice when it was warm. 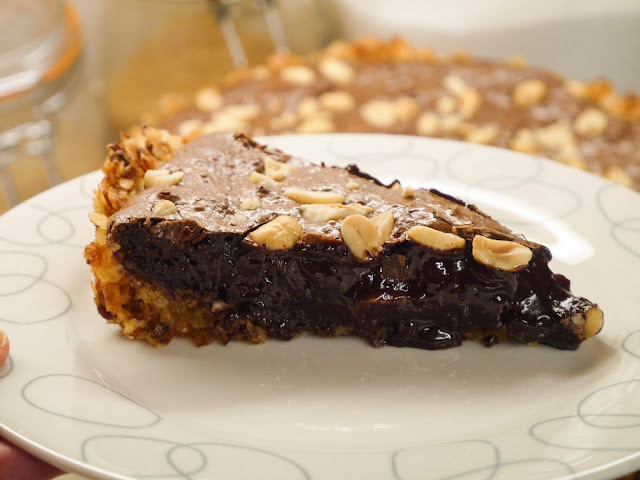 See the full recipe here!